Ok so this is not technically speaking running, but it’s a great way to get involved. By offering your time you will undoubtedly develop in confidence and most importantly learn about the sport of running from the inside. 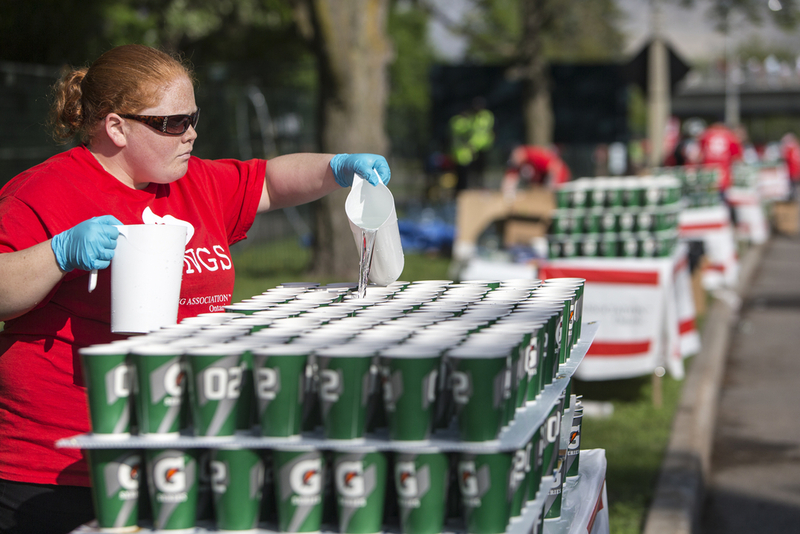 There are so many different ways to volunteer in running, in fact the whole sport is reliant on the good will of volunteers who give their time and expertise for free time and time again. Here are some simple ideas for how to take part too. 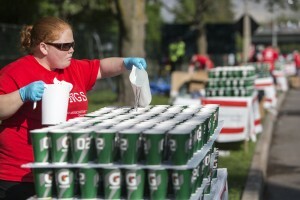 All races use volunteers as marshals, their role is simply to assist the race directors to ensure the race runs smoothly. This could involve cheering on runners and giving safety instructions along the way, or directing spectators around the route. There are also other important roles at races including working in baggage collection and handing out medals. Local running clubs are normally run by volunteers and they are always looking for new helpers, so why not get in touch with your local club and ask what roles they have available. It could be marshalling at events, but it could equally be fundraising or acting as club treasurer. This initiative is completely run by volunteers so why not get involved in your local one. If you do not have a local parkrun why not think about starting one up? Roles are varied and include race director, timing chip collector, timekeeper, back runner, photographer and many many more. Inspiring the runners of tomorrow is a fantastic way to contribute to the sport. Many athletics clubs require volunteers to help their sessions run smoothly, and some offer funding to train you as coaches or in first aid. When you have not grown up in the running community it can all seem a little confusing, but by offering your time as a volunteer you get a unique insight into how things work. A simple email enquiry asking about volunteer roles will normally be met with great enthusiasm, so do not delay get involved today to start changing perceptions.